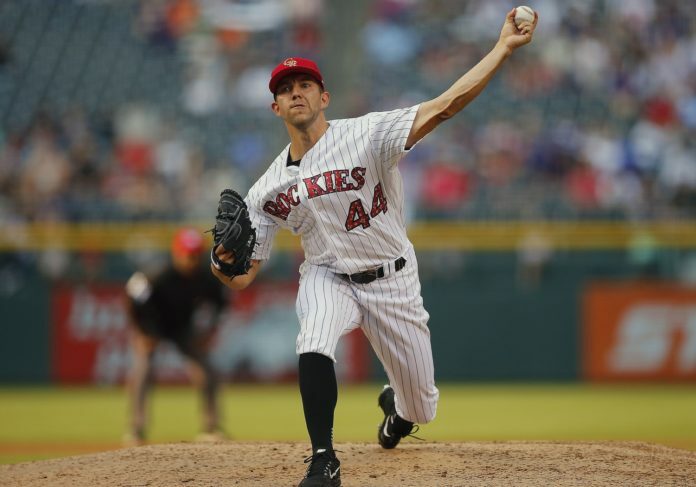 On this Fourth of July, the Colorado Rockies defeated the San Francisco Giants 1-0 thanks to fantastic pitching by Tyler Anderson. Although it was a holiday, Rockies fans had more than one reason to celebrate, as Wednesday’s victory solidified a sweep of the Giants to bump Colorado’s record to 44-43 on the season. The Rockies are once again above .500. 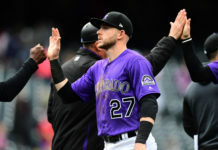 The lone run of the ballgame came in the seventh inning when Rockies’ catcher Chris Iannetta blasted a 3-2 slider over the fence in left field to establish a lead for Colorado. The ball narrowly stayed fair as a crew chief review ensued after to confirm the call on the field. Outside of the home run hit by Iannetta, Colorado had just six hits on the night with Anderson and closer Wade Davis holding the Giants to just three total. Anderson was the definition of lights-out on the mound Wednesday as he went on to log eight innings pitched, allowing two hits and two walks while striking out nine batters. The outing from Anderson was one of the best starts from a Rockies pitcher this season. The victory improved the Rockies record to 10-17 on the birthday of the United States. The Rockies are off Thursday before starting a series against the Seatle Mariners on Friday, with first pitch set for 8:10 MST.